I’ve been known to partake on the golf course when it comes to cigars. In fact, HOG has done a lot of cigar and cigar accessory reviews for golfers. It’s tough work, reviewing fine cigars while golfing. I’m willing to take on the task. I’m happy to feature a very fine magnetic cigar holder, perfect for golf carts or anywhere a magnet can find a friendly flat steel surface. Check out the aluminum, milled cigar holder by Ricky Johnson Putters. In the photo above I have the cigar holder attached to the support beam of my golf cart roof. I’ve stuck the unit elsewhere as well, like on the front porch steel side table. It works great. The magnet is extremely strong and withstands high wind, bumps and all sorts of other abuse. When not in use this nice ($70 nice!) 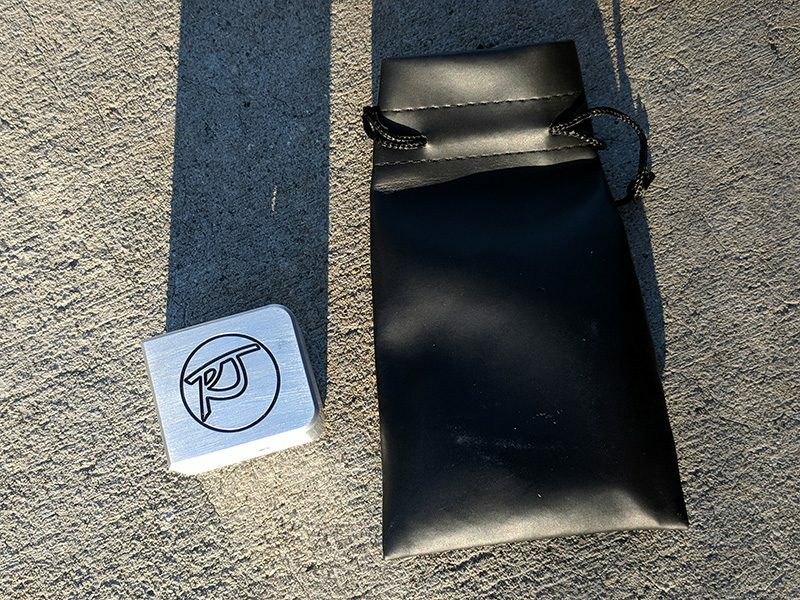 milled aluminum cigar holder lives in its carrying bag with drawstring (below). I keep my holder ready to go in my golf bag at all times. Best be prepared. I’d love to see a Hooked on Golf Blog logo milled into one of these beauties. Custom logo would be a great offering. 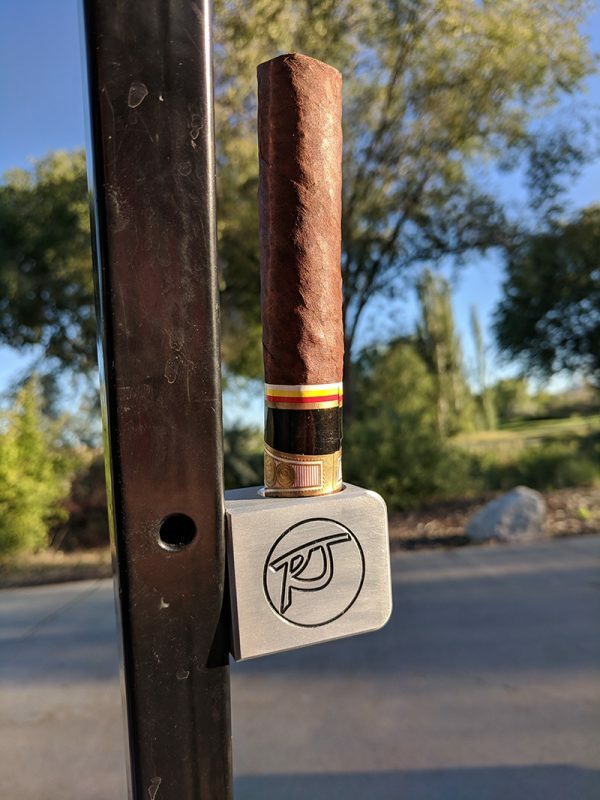 The milled aluminum cigar holder from Ricky Johnson Putters is super classy, solid, attractive, useful, and convenient. Snag one and class up your golf cigar accessories. Snag one for the cigar aficionado in your friends list too.